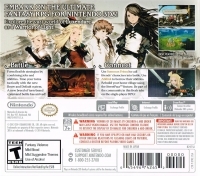 Box Text: Embark on the ultimate fantasy RPG for Nintendo 3DS! Explore the vast world of Luxendarc as a Warrior of Light! Battle - Form flexible strategies by combining jobs and abilities. Time your turns tactically with the new Brave and Default system. A new breed of turn-based command battle has arrived! Connect - Use Summon Friend to call friends' characters into battle. Use Abilink to borrow their abilities. Rebuild your home village using the StreetPass feature. Be part of the community in this fresh take on the single-player RPG! 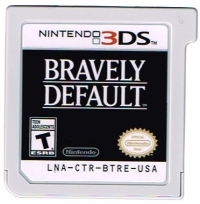 This is a list of VGCollect users who have Bravely Default in their Collection. This is a list of VGCollect users who have Bravely Default in their Sell List. 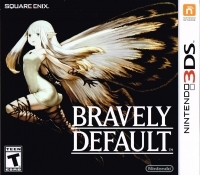 This is a list of VGCollect users who have Bravely Default in their Wish List.